This entry was posted in Photo of the Day 2014 and tagged Photo of the Day, Slither on January 9, 2014 by Bill and Paige. ??? Our 9 yearl old Ella is in to dragons big time. Is this one?? It is a wall hanging that we bought in Baja a few years ago. 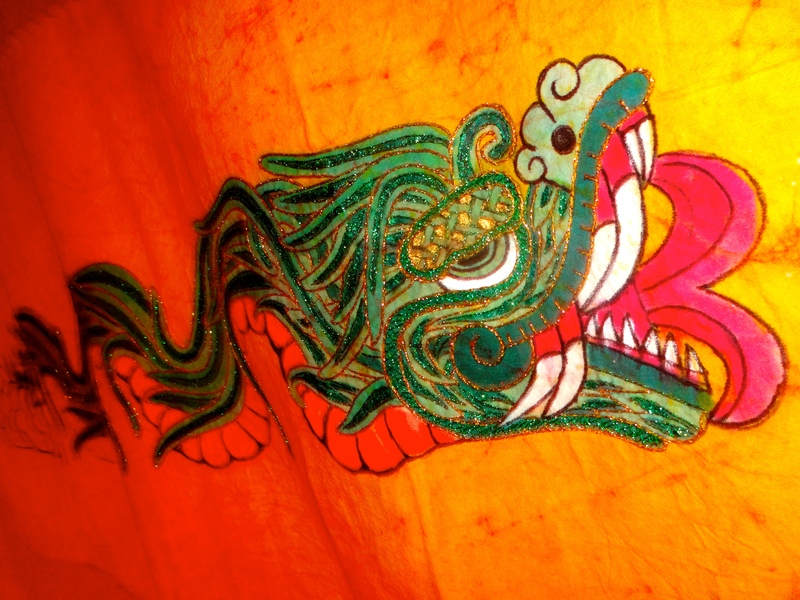 I think it is a mythological Teng Dragon (it does not have feet)!